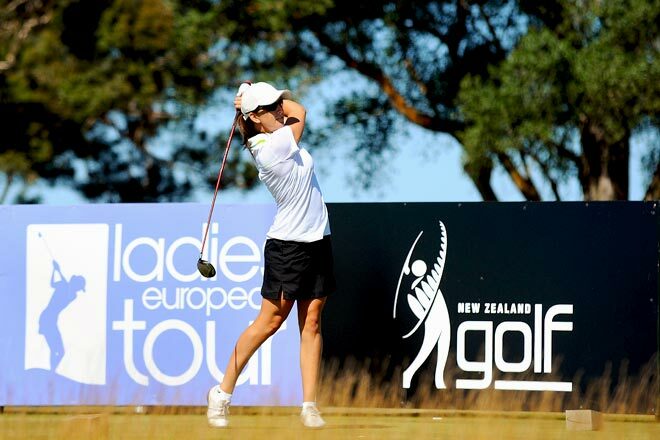 New Zealand amateur Zoe Brake demonstrates fine form with this drive during the 2012 New Zealand Women's Golf Open, held at the Pegasus Golf Club near Christchurch. However, she eventually finished well behind the leaders. The championship was won by Australian Lindsey Wright. The best-placed New Zealander, and highest-ranked amateur, was 17-year-old Cecilia Cho, in her last game before turning professional.